Don’t let damage or contaminants keep your facility from normal business operations when you can return your building to its former condition instead. With help from the experts at UC Environmental, Inc., it’s easy. Our comprehensive solutions are designed to help commercial and industrial businesses evaluate the condition of their air so employees can avoid breathing and health issues. As environmental consultants, our team can consistently provide our commercial clients with the guidance and expertise they need. Our services allow you to eradicate a range of environmental problems that may be affecting your workplace. Not only do we perform indoor air quality investigations for our commercial and industrial clients, but our team of specialists also completes comprehensive indoor air quality assessments. This testing allows us to create an effective plan of action when problematic observations are found in our reports. 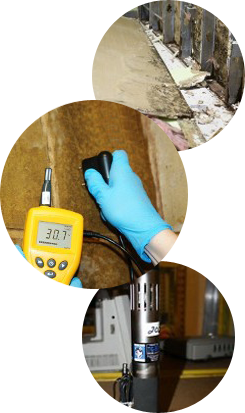 When we have finished evaluating any problems we find in your building, our team will be ready to write the remediation protocols other professionals need to help you restore clean air to your building the right way, the very first time around. There is no better time than now to try to improve your building’s air quality. A healthier breathing environment not only makes coming into work a more enjoyable experience, but it also helps eliminate many of the health threats that could be present in contaminated or unclean air. Allow our team to investigate your structure and help you restore it to a state that is safe for yourself, your employees, your co-workers, your clients and any other person that steps foot on your property. Turn to our specialists to get fast results so you can quickly receive the efficient and effective remediation services you need to improve the indoor environment of your commercial building. We are one of only a few companies able to complete on-site indoor air quality testing and analyzing in our area. This means the day we come out to test your air is the same day we can deliver the results of the test. With our fast and accurate reporting, you can reduce downtime and immediately start creating a remediation standards report for your business. Once the documentation is finished, you can hand it over to a skilled remediation team to help you improve your air quality. You and all of your employees, co-workers, and clients deserve fresh air to breath in a healthy environment. Our specialists are willing and able to work hard to help you track down any contaminants in your air so the cause can be addressed swiftly and you can begin enjoying clean, healthy air throughout your building again. Don’t wait a moment longer than you have to when it comes to receiving professional indoor air quality testing for your business. Poor air quality is a serious health concern you should actively address in your commercial building. If your employees are frequently sick or you have noticed odd smells throughout your structure, then it is time for you to invest in air quality testing from our trusted team of environmental specialists. We perform thorough indoor air quality investigations throughout our service area that allow us to quickly and correctly identify problems that pose a risk to the health and safety of those frequenting your commercial building, including yourself. With healthier employees and coworkers, your business won’t waste as much money on sick days, and your team can be much more efficient in their work. Take advantage of a 10% discount on your initial air quality investigation when you hire UC Environmental, Inc. Contact us and we'll address any questions or concerns you have regarding indoor air quality. We proudly serve commercial clients throughout Raleigh, Charlotte, Durham, Chapel Hill, and Greensboro, North Carolina, as well as the surrounding areas.